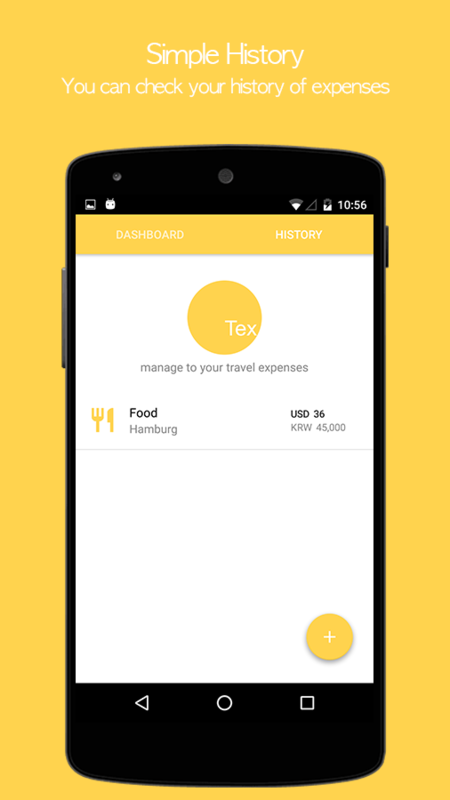 [The one of best tools for keeping accounts, efficiently trackingeach expense report] [ Support Web, iOS and Android ] web:https://web.andromoney.com/ Thanks for recommendation of Shady AlAref Bellah : https://nazzam.com/easily-track-expenses AndroMoneyis a personal finance tool for use on your mobile phone. By usingthis tool, we hope you can better manage your wealth. We focus on:1.Ease of use: keep it intuitive to operate 2.Powerful:dailyaccounting, managing categories, or even drawing detail reports,AndroMoney can easily manage it. As this App's name suggests, wehope AndroMoney will be the best personal finance tool on Android!If you have any problems about how to use it or ideas about how toimprove it, feel free to email us. We appreciate your feedback!features - Multiple accounts and support account balance &account transfer - Cloud Storage (Dropbox , Google Docs) - SYNCwith other devices - Any currency with downloadable rates - Numberpad with calculation - Hierarchical categories with customattributes - Simple/ Detail / Custom Budgets - Trend, Pie and Barcharts for Expense and Cash Flow - Password Protection - Overviewyour expense and income summary - Back up data to Excel/ Mac Number*Recommended by Appgovideo.com (http://www.appgovideo.com/) Manageyour expense and money easily ! If you have problem please e-mailto us! ( We can't reply you on google play...)[email protected] Thank you! Special thank to Mario Lüthy forGerman translation. Mike Kazonis for Greek translation. Jean Mariefor French translation. Елена Трифонова for Russia translation.Alessio Salerno and Carlo Pite for Italian translation. 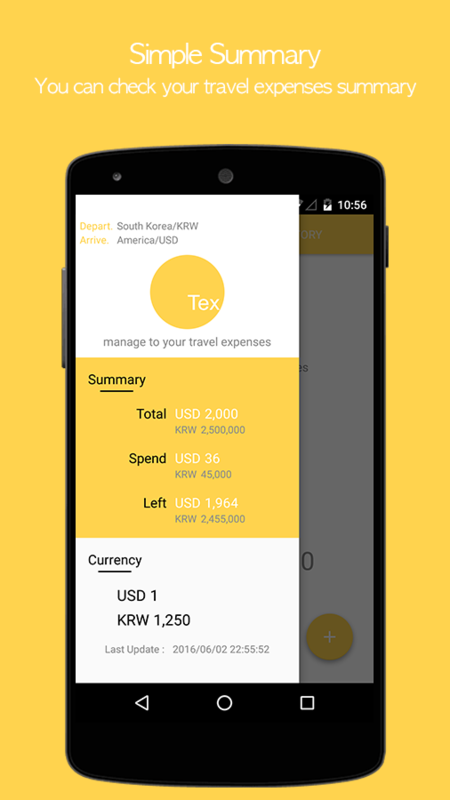 Money Manager - the #1 financial planning, review, expensetracking, and personal asset management app for Android! MoneyManager makes managing personal finances as easy as pie! Now easilyrecord your personal and business financial transactions, generatespending reports, review your daily, weekly and monthly financialdata and manage your assets with Money Manager's spending trackerand budget planner. * Applying double entry bookkeeping accountingsystem Money Manager facilitates efficient asset management andaccounting. It does not just record your money coming in and out ofyour account but deposits your money into your account as soon asyour income is input and draws money from your account as soon asyour expense is input. * Budget and expense management functionMoney Manager shows your budget and expenses by a graph so you cansee the amount of your expense against your budget quickly and makesuitable financial inferences * Credit / Debit Card managementfunction Entering a settlement date, you can see the payment amountand outstanding payment at the asset tab. You can arrange theautomatic debit by simply connecting your debit card with youraccount. * Passcode You can check passcode so you can safely manageyour financial review account book with Money Manager * Transfer,direct debit and recurrence function Transfer between assets ispossible, which makes your personal and business asset managementmore efficient. In addition, you can manage you a salary,insurance, term deposit and loan more easily by setting automatictransfer and recurrence. * Instant statistics Based on the dataentered, you can instantly see your expense by category and changesbetween each month. And you can see the change of your assets andincome/expense indicated by a graph as well. * Bookmark functionYou can easily input your frequent expenses all at once bybookmarking them. * Backup / Restore You can make and view backupfiles in Excel file and backup/restore is possible. * Otherfunctions - Change of starting date - Calculator function (Amount> upper right button) - Sub Category ON-OFF function * Paidversion * - No Ads. - Unlimited Assets (In the free version,limited to 10.) - Edit PC (http://youtu.be/5S4S3EQ3AZE) You canview ‘“Money Manager” application using Wi-Fi. You can edit andsort the data by date, category or account group on the screen ofyour PC. In addition, you can see fluctuations of your accountsindicated on graphs on your PC. So, what are you waiting for?Download Money Money right now and start managing, tracking, andplanning your budget, expenses and personal finances! Money management is always complicated and most of the time you getto wonder where did all your money go and what are you spending allyour savings on. In order to answer those questions we've created avery simple to use expense manager application that focuses onquality, simplicity and user friendliness.Your financial wellnessdepends very much on how well organized you are with your spendingbut it also helps if you are keeping an eye close to your incomesand family budget.Manage your money, track your expenses andorganize your savings with ease by taking advantage of some of thegreat features that this application provides:Key features: - easyto use, clean and intuitive expense & income tracker - mainscreen calendar with quick month overview on expenses and incomes -interactive charts - useful for analysis on your spending -integrated calculator - do all the math you want without leavingthe application - add image functionality - attach receipts orimages with purchased products - helps you better identify yourexpenses - quick main screen overview on incomes, expenses andaccount balance - charts section with custom time reports - monitorand compare - custom reminders for recurrent payments /transactions - customizable list with available expense and incomecategories - category view - view your transactions grouped bycategories - PIN code protection - world currencies - over 100available currencies - custom currency format - decimal separator -customizable first day of week (Monday or Sunday) - data resetfunctionalityEither you are a student who wants to keep a bettertrack of your money, or a person that is responsible withorganizing and managing the family budget, this application shouldbe the tool that provides better insights and enables you toimprove your financial life.Best of luck! Finance PM - The main goal of this application is to help userscontrol money quickly and easily.As a rule, money ends at the mostinappropriate moment, and then it is very difficult to remember:where and when you spent a rather large sum. It is difficult tounderstand, how much money left your pocket for health, education,entertainment, etc. It is more difficult to save a large sum for avacation or to buy a house. 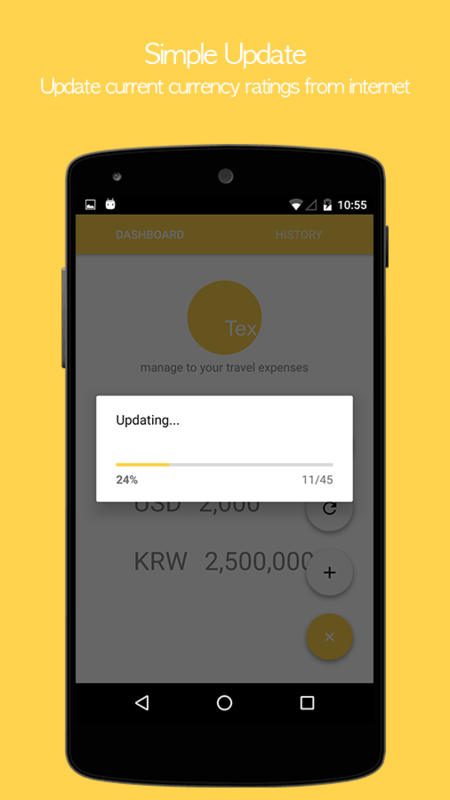 This application will help you tomanage your expenses and reduce them.You will be able to controlany quantity of wallets and accounts in different currencies usingpersonal financial manager. You will be able to save up money forany of your dreams.We recommend to create limits (budget) onexpenses for a month/day/any period. It will allow you tounderstand the difference between the actual and planned expenses.If you keep within a limit then you will control your money flowscompletely.Finance PM is your personal budget planner in yourpocket, personal financial manager in your Android phone or atablet.What will the user receive, after downloading thisapplication?- Unlimited attention to your wishes andrecommendations- Convenient and functional interface- Reliablesupport... and also:- Management of any quantity of accounts-Opportunity to add, edit and delete operations on wallets: income,expenses, transfers- Editable tree of categories, adjusts it foryourself (! )- Opportunity to add new currencies- Opportunity toadjust periodical (recurring) operations- The application will beprecise on how much money you owe or somebody owes you- Protectionof your personal information by password- Possibility tosynchronize data on several devices- Possibility to createtemplates operations- Import and export data- Export data to XLSOurmoney management application will satisfy all your needs!Finance PMis your personal money savior.If you like our finance and expensemanagement app, please don't forget to leave us a positivefeedback! Looking for an expense and budget tool? Stop searching. 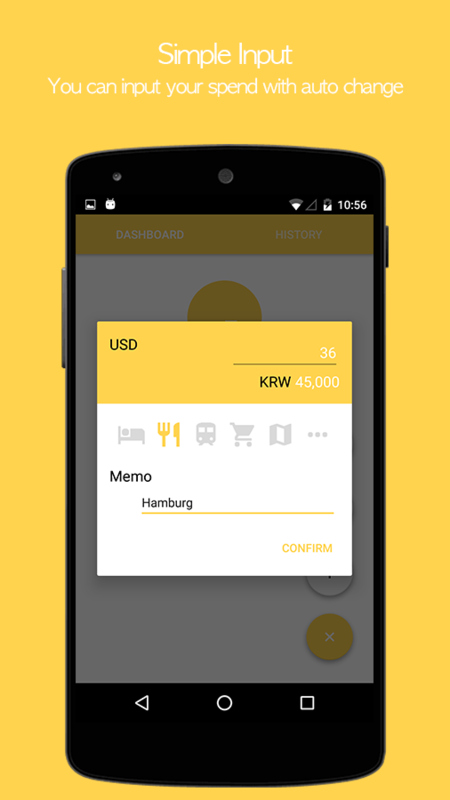 ExpenseManager is simple, intuitive, stable and feature-rich app that isjust designed for you. Everything you need at your fingertips tomanage the expenditures, checkbook and budgets. 100% FREE – fullfeatures, no hidden charges or in-app purchases by Bishinews, a toprated developer by Google. Expense Tracking • Tracking expenses andincomes • Split Transaction - Record all items in a singletransaction with different category and amount • Recurring expenseand income • Multiple accounts • Taking a picture of receipt •Tracking tax • Tracking mileage • Tracking debts • Credit Card •Credit Card and bank SMS message parsing • Write, Print, and EmailChecks Budget and Bill Organizing • Organizing bills by week, monthand year as well as by categories • Schedule the payments andrecurring payments • Payment alerts • Daily, weekly, monthly, andyearly budget with progress bar • Daily, weekly, monthly, andyearly summary • Calendar view for expense and income • Calendarbudget forecasting Search and Report • Search by category,subcategory, payee/payer, payment method, status, description, tag,etc. • Reports in HTML, CSV, Excel and PDF • Import and exportaccount activities • Charts by category, subcategory, payee/payer,payment method, status, description, tag, date etc. • Email reportfor print Backup and Sync • Automatic backup on Dropbox, GoogleDrive and SD Card • Automatic sync between devices via DropboxConnect to PC via Network • View all accounts on one page in biggerscreen • Do your regular work such as add expense/income, editSettings, view charts etc. • Add multiple expense or income records• Backup data and restore data on PC Convenient tools • Currencyconverter • Regular calculator • Tip calculator • Loan calculator •Credit card payoff calculator • Interest calculator • Note •Shopping list Customization • User can easily customize backgroundcolor, action bar color and button color. • Customizing date format• Customizing category and subcategory • Payment method,payee/payer, Tags, income category and status can be entered orupdated by user • Multiple currencies support Languages • English •German • French • Spanish • Portuguese • Russian • Italian •Turkish • Indonesian • Chinese (Simplified) • Chinese (Traditional)Others • Widgets: overview, summary, budget, calculator, quick addetc. • PIN protection • No registration and internet access arerequired. • Active developer support No other app can beat us onfeatures. It's all free. PERMISSIONS EXPLANATION: • Storage: backupdata in sdcard and external storage. Save purchase receipt insdcard and external storage. • GET_ACCOUNTS: back up data on GoogleDrive. • SMS: Parse SMS message from your credit card and bank andsave it automatically in the app. If you don't use this feature, goto phone Settings/Apps/Expense Manager/Permissions to switch offSMS permission on phones with Android 6 and up. •ACCESS_WiFi_STATE: This permission allows PC connection via WiFi.If you don't need to use this app on a PC browser, you can disablethis permission. All data save on your phone or your personal cloudaccount. Nobody but you can access your account. Thanks for thehelp from: Emilio Blanco for Spanish translation. Christian Glassand Manuel Gruber for German translation. Michel Graciano, Gustavode Freitas Leite and Ricardo Gomes for Portuguese translationCerrato Renaud for French translation Key words: Expense Manager,Budgeting Tools, Financial Planning, Expense Tracker, MoneyManager, Money Tracker, Budget Tracker, Spending Tracker, BudgetManager, Budget Planner, Checkbook, Finance Manager, Daily Expense,Home Budget Please email question and feature request directly todeveloper at [email protected] We actively support users. Daily Expenses is an application designed to organize your incomeand expenses, your movements of money are recorded by date, you canreview the reports daily, weekly, monthly or yearly. Organizingyour expenses allow you to have a better control over your money. •Track your income and expenses , classify them by category . • Youcan modify or delete the records that you have created. • Theapplication will show reports grouped by periods , along with yourbalance period. • You can also schedule recurring records , so theapplication added by you that are repetitive movements in fixedperiods. • If you need it you can password protect your information. • The application lets you create a backup of your database torestore your information if necessary . • Available translations:Spanish, English, Portuguese, German, French, Russian, Chinese,Italian, Ukrainian, Indonesian. • Widget 3x1 with the summary ofthe month. • Available reports: daily, weekly, biweekly, monthlyand yearly. • Create graphical reports • Horizontal screen fortablets. • Choose the currency format and the date format used inyour country.